Merry Christmas to you too. Have a wonderful holiday season..
With all heart! Amazing letter! Merry Christmas and Happy New Year to you too. Thank you very much for visiting and reading my post. God Bless. Merry Christmas. 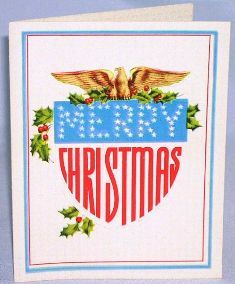 Thank you very much much for the wonderful Christmas card. My pleasure – enjoying the holidays! Beautifully written, Karina. A warm and wonderful Merry Christmas to you! Thank you very much, Grandma 🙂 A warm and wonderful Christmas to you too. God Bless. Beautifully expressed what our Lord would say. And yet poignant in its delivery. If we can stop and just hear the essence of His call, we would be shouting with joy and thanksgiving. Thank you for sharing. May the real reason for the season be in our hearts, as you so elegantly stated. God bless you and your family this holiday season! The quote above is found in Isaiah 9:6. Peace be with you! You are welcome 🙂 Thank you very much for the quote from the book of Isaiah 9. Merry Christmas and Happy New Year to you and all beloved ones, have a wonderful holiday season. God Bless. Dear brother in Christ, Paul. What a great honor from you in this Christmas season. Thank you very much for reblogged my post to your blog, brother, also thank you very much for your wonderful response to my post. Have a wonderful Christmas day and Happy New Year to you and all beloved family. God Bless. I have no idea how you manage to cut through all the tradition … the divide between the saved and unsaved … the sinners and saved sinners … those who love and those who want to be loved … those who are alone and those who are together … and do it with a fresh eye, a loving eye, an eye for all those who “believe” or not – to invite all to the party – but you have – and I am so glad you did. Merry Christmas to you too. Thank you very much 🙂 Have a wonderful and blessed holiday season. My gorgeous sister… you have wonderful way to close your blog post this year with wonderful post. this is needed to ponder in Christmas day.. see you soon in Paris. Oh, Karina, you’ve painted the best picture possible for this time of year. A sad picture of us intentionally leaving out the reason we celebrate. Thanks so much for your beautiful words, for the honor you show our Lord. May you and your family enjoy the wonder and beauty of this Christmas. You are welcome :)Thank you very much for your lovely comment, sister. May the your Christmas time bring a lot of joy to you and your loved ones. God Bless. Karina, I loved this post. I endorse the message. Thanks for sharing. Merry Christmas to you and take time to enjoy the moments with your loved ones. You’re welcome 🙂 Have a full of blessed Christmas and New year to you too and yours. God Bless. Excellent post, Karina, Thank you. I greatly appreciate all your support. Be blessed and have a very Merry Christmas! Merry Christmas and Happy New Year from me to you Karina… and thank you very much indeed for sharing this great letter with all of us!! You’re welcome 🙂 Thank you very much for your Christmas greetings. Merry Christmas and Happy New Year to you and yours.. God Bless. I wish there was a “love” button, instead of “like.” That is beautiful Karina! I pray that the joy of the Lord fills your heart during this season! Love you!! Dear brother in Christ, Jeff. Thank you very much, brother 🙂 Merry Christmas to you too. Have a wonderful and blessed holiday season. Sister Karina, this letter is a beautiful, wonderful gift for your readers. I know Jesus is proud that you speak in His behalf. Have a deeply meaningful Christmas season. Abundant blessings! Thank you also for your kind visits. This is one of the most beautiful posts I’ve ever read across WordPress. So beautiful Karina. God bless you all and your loved ones this season. Thank you very much for your encouraging comment, sister. Also thank you for reblogged my post to yours. It was a great honor for me. As we rejoice and celebrate this wonderful season of Christmas, let us not forget to thank baby Jesus for coming into our lives. Let us together prepare ourselves to welcome him into the homes of our hearts. Merry Christmas to you and your loved ones. Thank you and God Bless. Thank you very much 😉 Merry Christmas to you too, dear Laura. Have a blessed holiday season. My friend, your post was well written. I enjoyed reading it. Every Christian knows the true meaning of Chrismas. But many of us get swallowed up in the commercial hype. It is hard to resist. And although I do not buy Christmas gifts for myself, I get a long list every year. I thank God for sending His Son Jesus as ransome for the sins of the world. And because of that act of love that eyes have not seen or ears heard, I can respond to your post. Dear brother in Christ, Noel. Thank you very much for you great and lovely response on my post. Merry Christmas to you and the loved ones. Great post Karina. Have a wonderful Christmas. Thank you very much 🙂 have a wonderful Christmas to you too. God Bless. Thank you very much, sister Anna. Have a wonderful and blessed New year to you and Family. Thank you very much, brother 🙂 Happy New Year 2019. With God as our Leader,may we be prepared to live another year under His guidance. God Bless. Hello Coach..!! yeaah been long time, right?? many things changed. Thank you for contacting me. Happy New Year, coach..God Bless. Merry belated Christmas and Happy New Year to you too. Thank you. Karina, this is awesome. Be so blessed for your heart. Thank you so much for your lovely response also for the wonderful Bible verses. Thank you and God Bless. Thank you very much 🙂 Merry belated Christmas and Happy New Year to you and the loved ones. God Bless. Belated Merry Christmas and Happy New Year too. God Bless. Have a blessed NewYear to you too. Thamk you very much . Hello there… You’re welcome 😉 Thank you and have a nice weekend.. Okay.. Thank you very much. God Bless. You are much welcome, brother. Thank you very much for your lovely comment on my post. It’s a great honor could read great posts like yours. There is something to learn from your posts. Have a great time to share God’s word to the world. God Bless. Thank you very much for visiting and reading my post 🙂 I really appreciate it. Thank you and God Bless. Christmas has nothing to do with Christ and everything to do with Satan. I have info I can link you to if you would care to look into this matter. Oh yes, I am interested. Please send me the link. 🙂 Thank you very much. I trust this is informative for you Karina. God bless. Love the letters from our Heavenly Father! So, inspiring! Thank you very much for visiting my site and reading my post. I really appreciate it. God Bless.